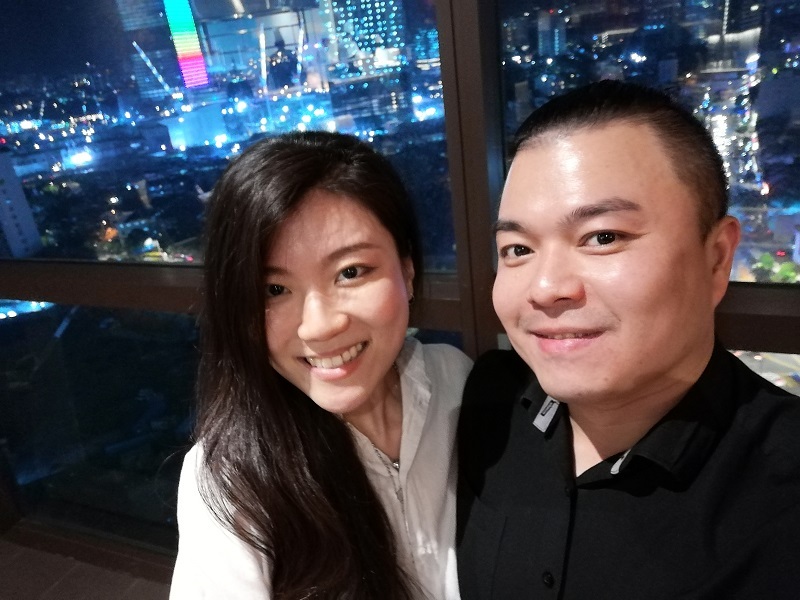 My famous Instagram personality/healthy living influencer/TV host friend Soo Yin extended an invite to a food tasting at Samplings on the Fourteen. This restaurant is a mere 4 monorail stops away from my office so I dropped by after work to check out their MIGF menu. 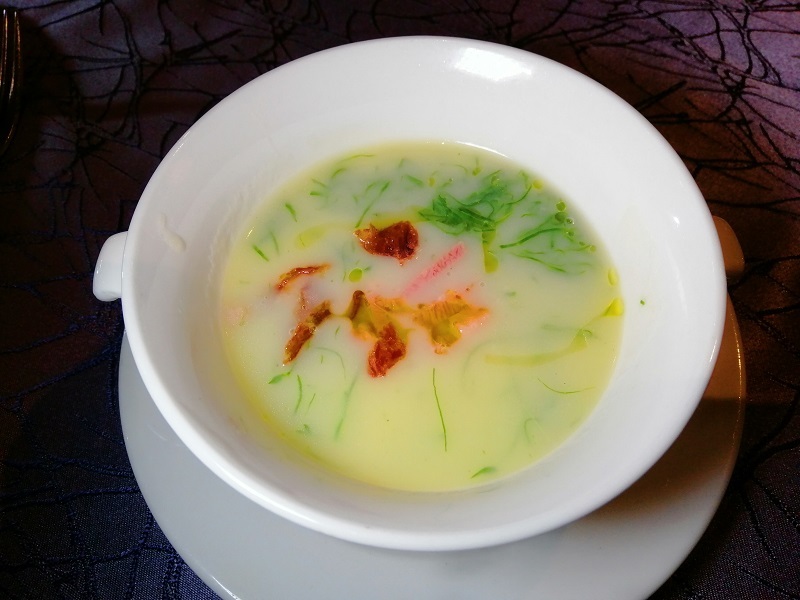 MIGF is the Malaysia International Gastronomy Festival. The festival was a huge deal in 2003 when I was a fresh grad working in KL. I would check out the participating restaurants with my meager salary at the time and most of the offerings were good. 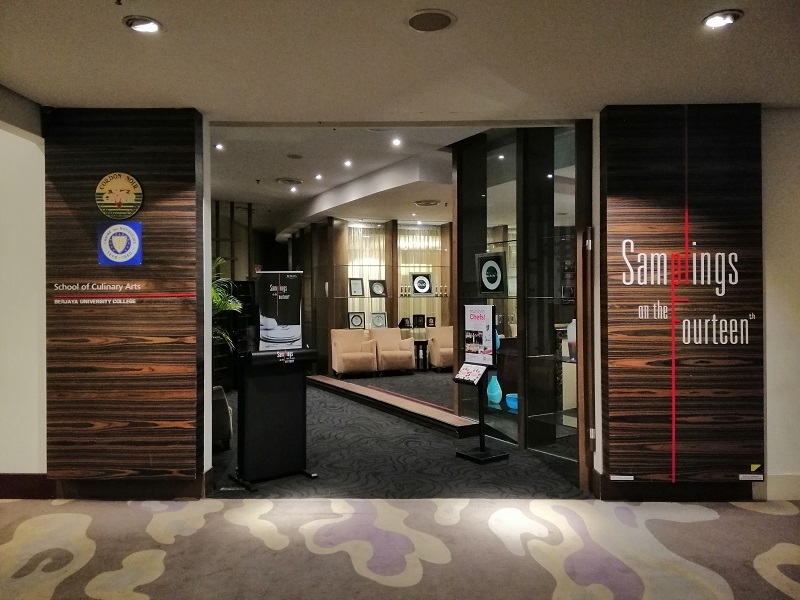 However, the inclusion criteria seem to have changed – there’s a few additions I wouldn’t think of as fine dining and the same few faces from Genting has an oversized presence. That doesn’t mean they’re all duds though. The well regarded nadodi is one of the restaurants in MIGF 2018. I’ve also been hearing tons of positive things about the progressive gen in Penang. 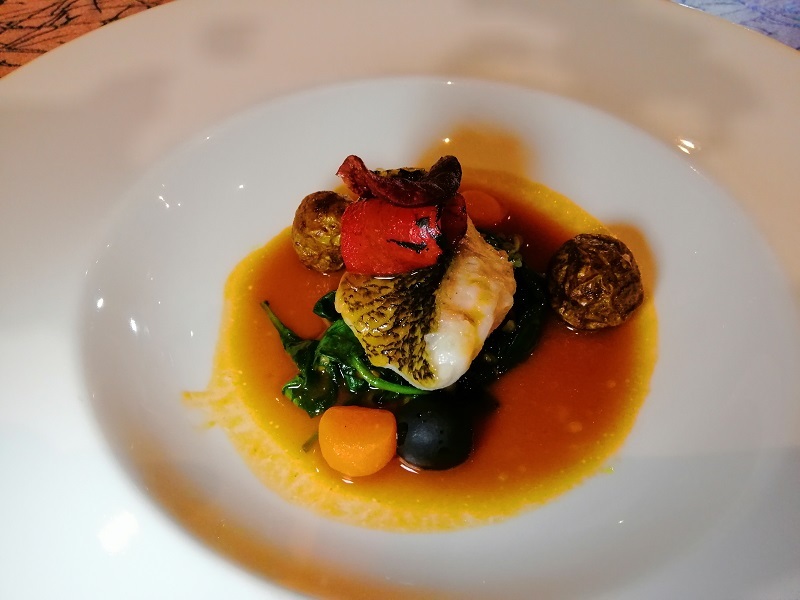 I haven’t dined at either, my experience tend to lean towards the Michelin Guide. I admit, I’m a Michelin star chaser and I’ve dined at world class Michelin starred restaurants in Paris, Hokkaido and more recently, Bangkok. 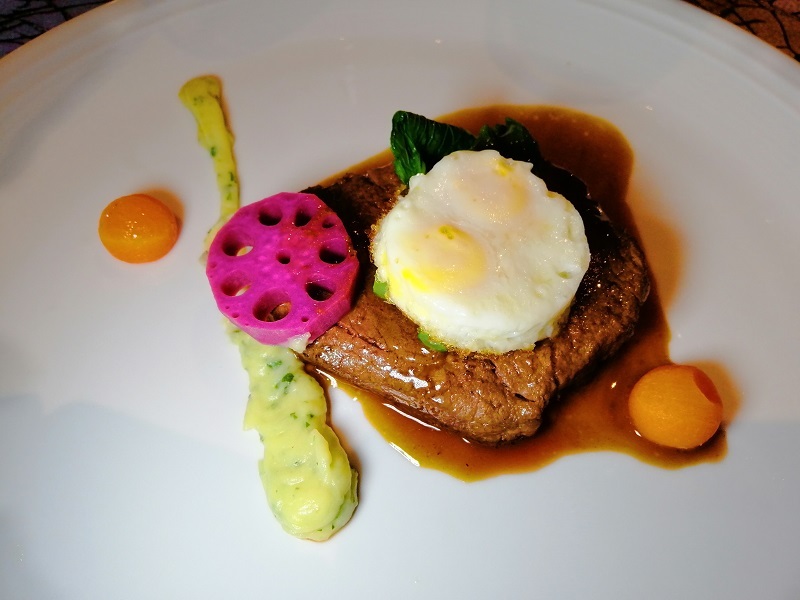 I really enjoyed the dinner I had in The Lab at Gaggan two weeks ago. That said, there are very few places in Malaysia which I would consider world class restaurants. This is the Light Macanese Cuisine Menu (RM 178 nett) offered by Samplings on the Fourteen. 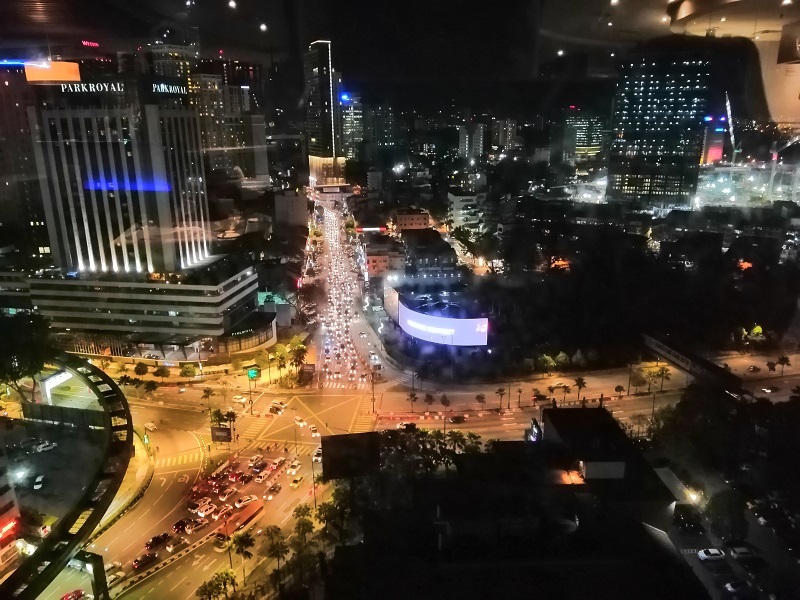 The Full Macanese Cuisine Menu is the same thing but with two glasses of wine pairing at RM 208 nett. 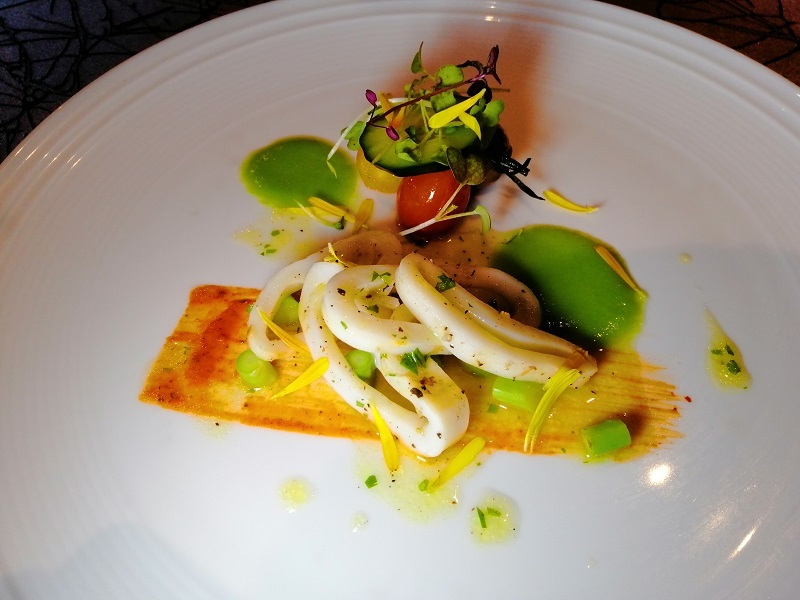 The appetizer was Portuguese Squid Salad, which was a cold dish of squid with a few brushed sauces. I detected a rather fishy smell emanating from the cephalopod and the sauces were not very intense. I didn’t think they added much to the dish. It’s not my favorite thing. The soup course which featured Potato Kale Soup was better. It’s rich and has bits of crunchy elements and something which tastes like pork (though I’m told this is a pork free restaurant so it’s probably turkey ham). Decent. The entrée of Macau Garlic Prawn was my favorite dish of the night. The prawns were cooked well and the garlic chips were excellent. 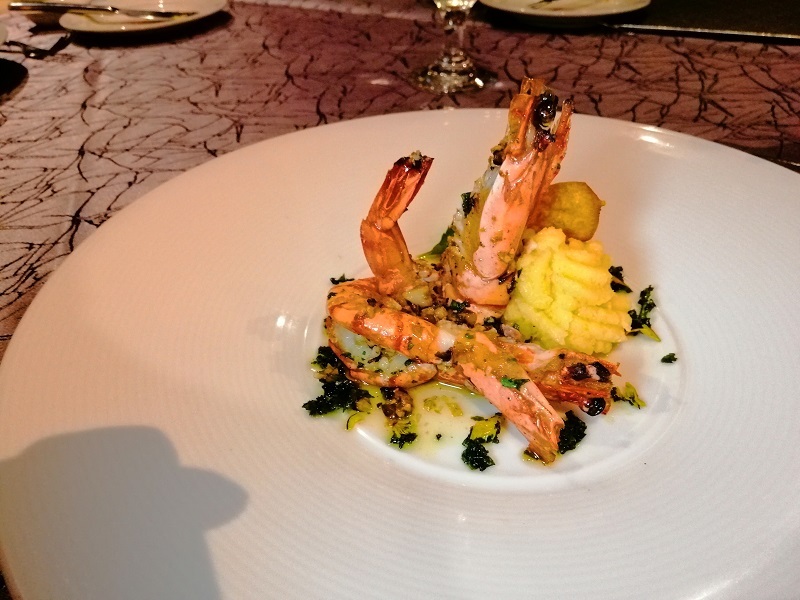 I also liked the mash/puree served on the side – the flavors go swimmingly with the garlicky prawns. Good stuff. We were given a choice of two mains and I got to sample both of them since myself and Soo Yin ordered a different one each. I went for the Grilled Fillet of Marble 7 Wagyu Tenderloin. Unfortunately, the waiter who took my order did not ask me my preferred doneness so it came out medium. I usually go for blue or rare. I honestly wouldn’t have rated this as an M7 wagyu. To be fair, this is probably Australian wagyu, not the excellent marbled breeds from Japan (a steak of this size would cost much more than the price of dinner alone). However, this dish came across as one dimensional and flat due to the minimalist seasoning. This can only be pulled off if the meat is of exceptional quality and it’s not. I was hoping the pink lotus root would have been pickled more – adding an acidic touch to this dish would have saved it. I have had two excellent steaks in the past fortnight, once at Gaggan and another time at Upstairs at Mikkeler. But lest you think I’m a food snob (that’s totally not me if you have me on Facebook), I honestly think a dedicated local steakhouse like TTDI Meat Point would be a better bet if you like steak. Their chimichurri sauce is excellent. The other main was Confit of Soon Hock. I like this one better. The fish was cooked decently and flakes off well. I thought the portion was a little too small to be a main but maybe that’s an internal food cost calculation thing. I would go for this over the beef. The addition of potato balls (?) was a bit curious though. I did not think it added to the dish and the texture doesn’t go very well since both are soft. 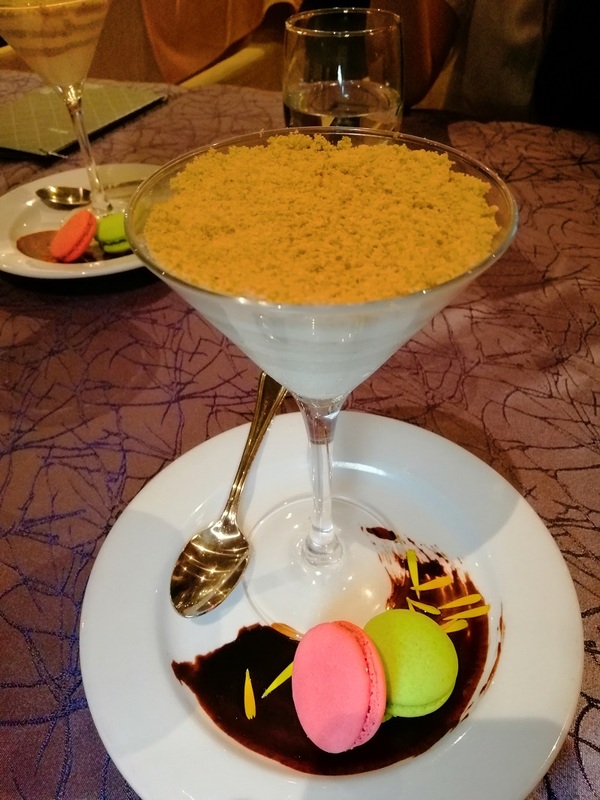 Dessert was Serradura/Macarons. This was spelled as macaroons in the menu and all MIGF literature. That annoys me more than it should. They’re two different things. Macarons (the French meringue confectionary) should be spelled with a single o. I know some inclusive, vegan, body positive liberals have started saying both spellings are correct if you prefix it with “French” e.g. French macaroon but since there’s already a coconut biscuit called macaroon and the French spell it macaron, why would you invite confusion? Mini rant aside though, the serradura was excellent. I had to convince Soo Yin to eat it coz it was so good. I love the malty biscuit dust – it reminds me of all the Marie biscuits I ate as a kid and goes very well with the whipped cream. Asians love textural play in their food and this checks all the boxes. Bonus points for also not being too sweet. However, the macarons that came with this dish was overly sweet. It’s been a very long time since I’ve been to a food review. I did enjoy talking to my fellow bloggers during the night. I had fun. The food wasn’t the best, if I were to be honest, but there were some highlights in the menu – the excellent shrimp entrée and the serradura were my favorites.